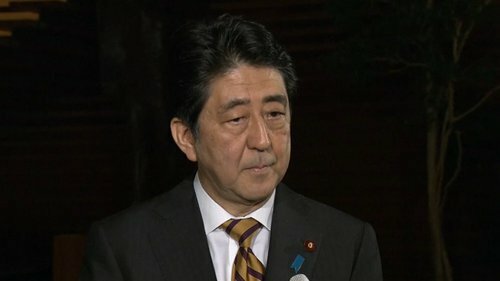 Japan said Shinzo Abe would be the country’s first prime minister to visit the site of the attack, but it now appears that historic occasion actually took place in 1951. The text of Mr. Abe’s statement of Friday to mark the 70th anniversary of Japan’s defeat in World War II. Shinzo Abe on Wednesday became the first Japanese prime minister to have addressed a joint meeting of Congress. President Obama with Prime Minister Shinzo Abe in April. Mr. Abe sees himself taking after his grandfather who helped redefine cooperation with America after the war. After World War I, which embroiled the world, the movement for self- determination gained momentum and put brakes on colonization that had been underway. It was a horrible war that claimed as many as ten million lives. With a strong desire for peace stirred in them, people founded the League of Nations and brought forth the General Treaty for Renunciation of War. There emerged in the international community a new tide of outlawing war itself. Incident, aggression, war — we shall never again resort to any form of the threat or use of force as a means of settling international disputes. We shall abandon colonial rule forever and respect the right of self- determination of all peoples throughout the world. We will engrave in our hearts the past, when Japan attempted to break its deadlock with force. Upon this reflection, Japan will continue to firmly uphold the principle that any disputes must be settled peacefully and diplomatically based on the respect for the rule of law and not through the use of force, and to reach out to other countries in the world to do the same. 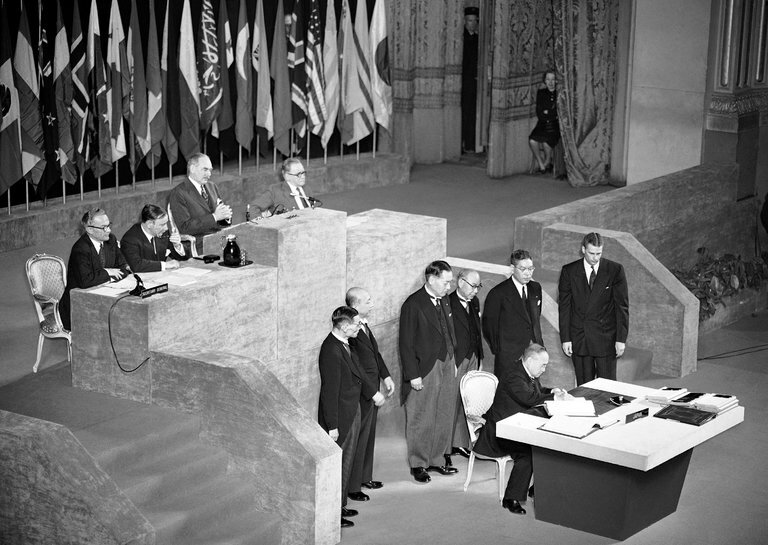 As the only country to have ever suffered the devastation of atomic bombings during war, Japan will fulfil its responsibility in the international community, aiming at the non- proliferation and ultimate abolition of nuclear weapons. Japan Steps Out – NYTimes.com.